There are currently 95,093 users on this website. 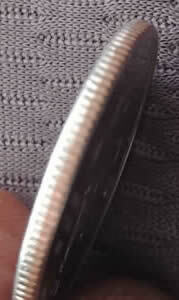 That copper stripe on the edge means that it is a clad coin. However, another good way to check is by the weight. 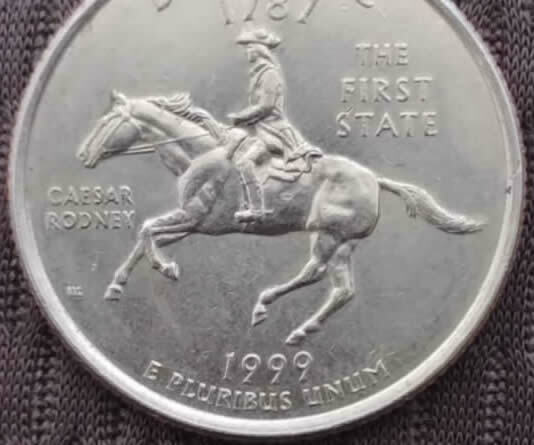 What is it for this coin? 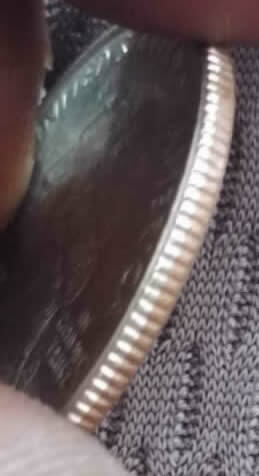 The silver coins do not have the cladding of a copper core. 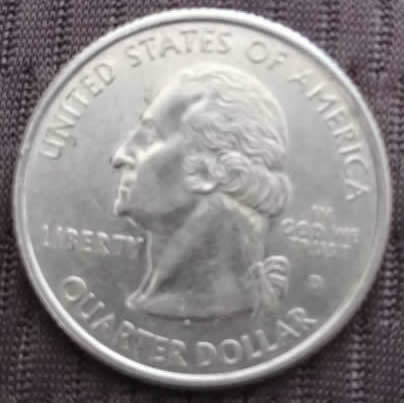 It is just a clad quarter. The mint puts the metal together for a clad coin. so the metals would be correct, not silver. Probably a slightly overweight coin. Did you know you can tell which direction your coin was cut out of the stock material? Note the copper and silver layers? the copper layer is the reverse side and the silver layer is towards the obverse side. 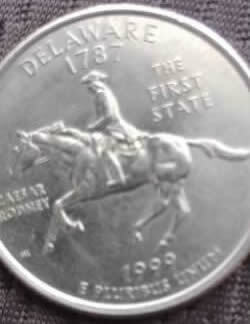 So then the blank was cut, the obverse side was the one that was cut through and the reverse is the bottom of the Blank. How can I tell? The Silver color is pushed over a bit of the copper and the copper is pushed over the bottom edge of the silver. The metal moves slightly when the blank is cut from the stock material.